The technology module in Hyper Island exposes you to lots of new and emerging technologies, but sometimes you have to really look closely to see if there really is true value on offer or is it just technology for technologies sake - the end user is king and their experience is of paramount importance. It was questions just like this we had to ask ourselves while working on our brief for the BBC. The BBC is world renowned and respected for it's rich content - but digitally this content has not always been the easiest to find. How do the BBC provide users with a unified entry point to this content, whilst allowing a seamless movement between native and web applications? With 77% of the UK population now active online, digital participation is now very much mainstream. If participation is a choice, how can we inspire people so they choose to participate? BBC Smartgate - a portal which allows access to all the BBC’s existing content. With a beautiful User Interface and Experience, it goes further than that - acknowledging what already works for the BBC, with the inclusion of the Red Button, a popular feature already synonymous with the BBC interactive experience. To find out more about BBC Smartgate, click here. 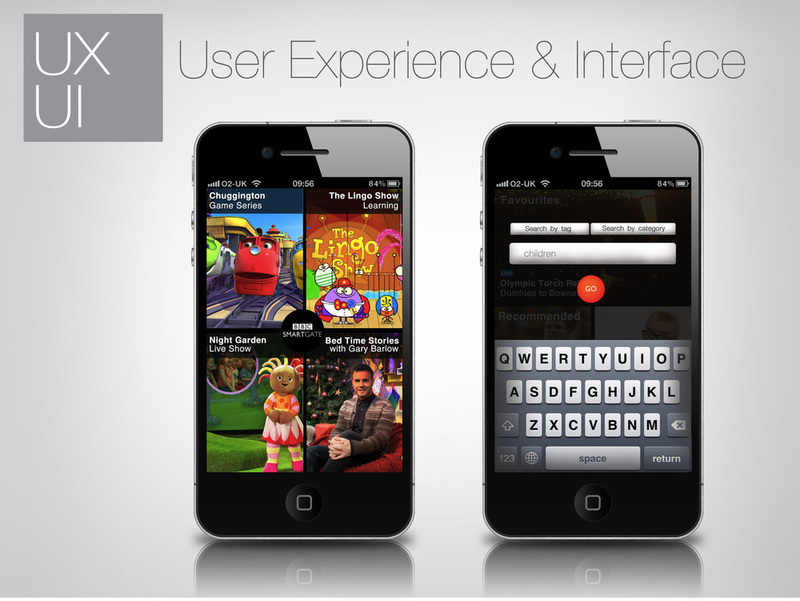 We've developed an App which takes you to all online BBC content seamlessly.